HOW MANY THINGS CAN YOU PERSONALIZE WITH THE WTG-FC GLOSS 03-50 TRANSFER PAPER AND WHITE TONER? 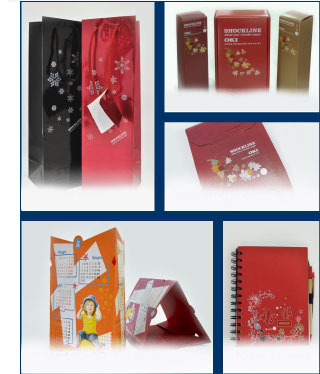 With WTG-FC GLOSS 03-50 it is now possible to personalize with white opaque graphics packaging and paper or cardboard colored objects including 3D desktop calendars, gift bags, packaging for quality wines, writing pad covers and much more. Polyester cloth (cod. MA STUOI 04) depending on the support. Time, temperature and pressure may vary according to the type of support.